are the main pillars upon which Denmark will press forward to promote Human Rights. Austrian Armed-Forces placed on the Top for 2017 Strong Europe Tank Challenge hosted by the U.S Army Europe and co-hosted the Bundeswehr. The German Army stands on the second followed by the United States. The competition covered intensive operational maneuvers for defense and offensive measures executed from May 7 to 12 in U.S 7th Army Training Command in Grafenwoehr, Germany. 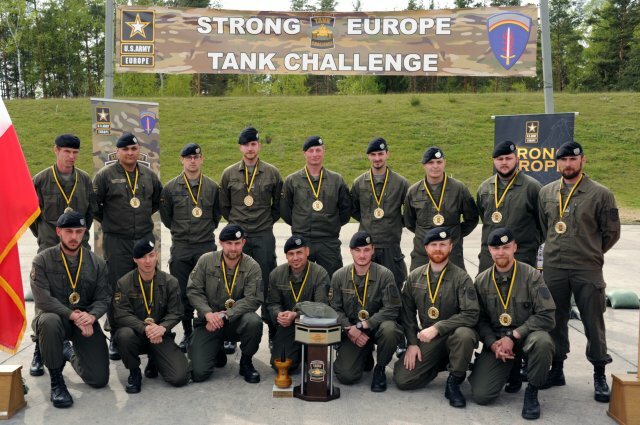 The Armed-Forces participants in 2017 Strong Europe Tank Challenge were included from: Austria, France, Germany, Poland, Ukraine and the United States. “America has always been the Land of dream, because America is a nation of true believers. When the pilgrims landed in Plymouth they prayed. When Founders wrote the Declaration of Independence they invoked ‘Our Creator’ four times. Promoting stability in the continent and fortifying European Armed-Forces have been the overall goals of the United States Army Europe. With that vision, the 7th Army Training Command executes the high caliber diversified exercises, training and maneuvers on a monthly basis to upgrade the U.S-European Forces with the complex and multifaceted aspects of the combat zone, operational missions, and the interoperability of NATO members/partners and allies.